SKU: BMMR03. 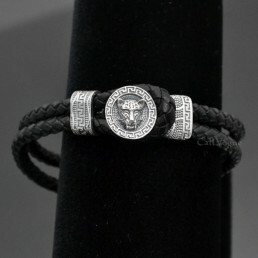 Categories: MENS JEWELRY, Ring. 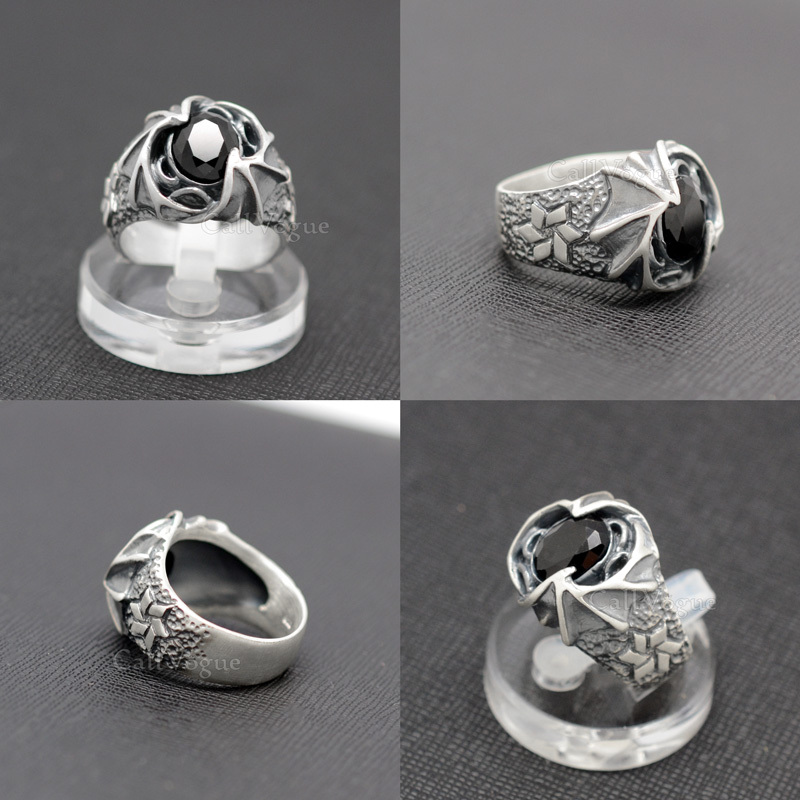 Tags: 925 sterling silver rings, mens rings, onyx ring, rings, rings for men, silver ring, sterling silver rings. 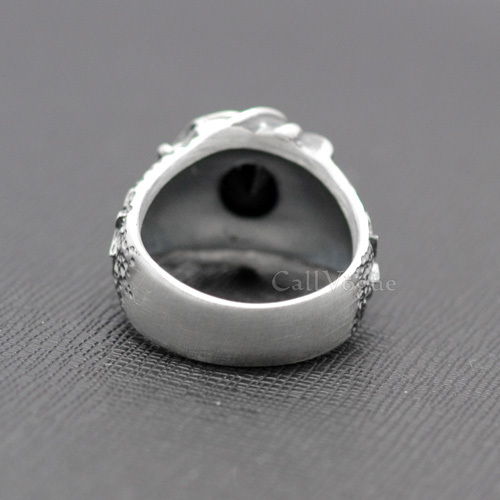 Sterling silver Dragon wing Mens Ring, Update your mens rings collection with our 925 sterling silver dragon ring. 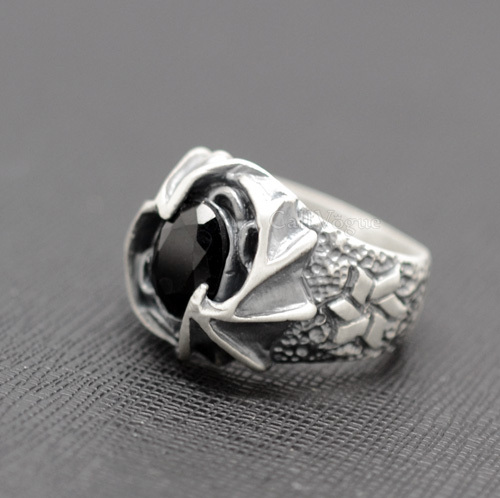 Black Cubic Zirconia Surrounded by Dragon wing sterling silver Rings featured here as part of ring collection represent some of the most fantastic you’ll find anywhere. 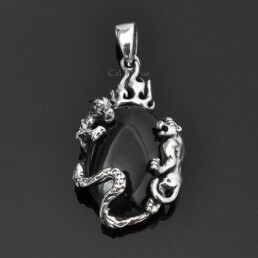 Superb craftsmanship, Detailed Dragon Wings carved designs, stylish shapes on both sides, and most important, loads of silver, means you won’t find better value anywhere. 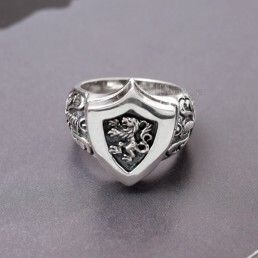 You will fall in love with this wonderful mens ring. The rings will make you luxurious. Our rings are made of solid 925 Sterling Silver – guaranteed! This rings are crafted entirely by hand. * Ring Height is approx. 18mm at the highest / 7mm at the lowest. There can make some difference in the course of production. 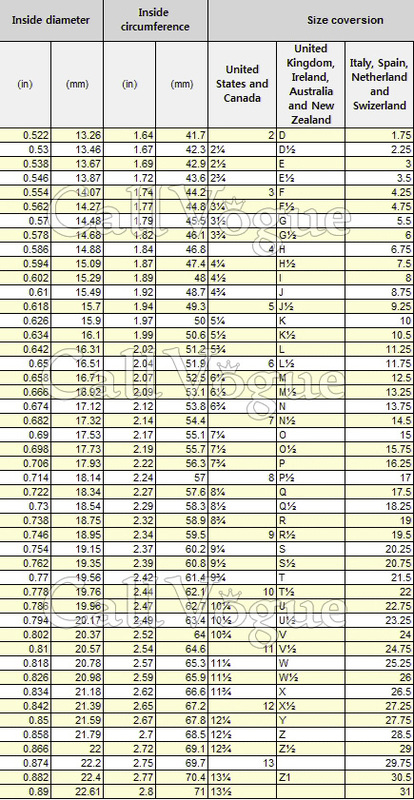 Ring size which you can select is US size. So, Please kindly refer to following detail of size when you buy. 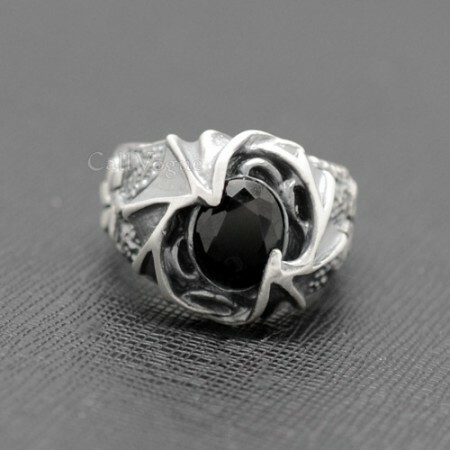 If you want to Shop for different styles of Mens silver rings, Please CLICK HERE!